Emotional intimacy and connection can be challenging to find. 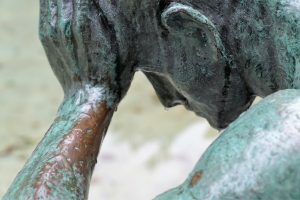 It’s common to have a loving family, a large group of friends, and a supportive partner and to still feel alone, misunderstood, and disconnected. It’s also common to feel like you don’t have a social support network because you struggle to relate with others. This sense of emotional distance can be the result of depression, trauma, and difficult transitional periods. So how do we connect to others in a meaningful way? Do any of these thoughts sound familiar? The problem with thoughts is that they’re not always accurate sources of information. They may seem logical and true based on past experiences, but unhelpful thinking patterns and biases can eventually overtake facts. Some of these patterns may include emotional reasoning (using feelings over facts to draw conclusions), mind reading (assuming we know what other people are thinking), oversimplifying (seeing things in black or white), or jumping to conclusions. We also tend to tell ourselves the same thoughts over and over which can transform our patterns of thinking into a habit that can be hard to break. So how do you change your thoughts? You can’t necessarily control what thoughts pop into your head but you can control which thoughts you give weight and attention to. You can also control how you respond. It’s easy to react impulsively to the thoughts listed above by pulling away and isolating. With mindfulness and insight, you can identify that thought, observe its impact on your emotions and sensations, and then let it go or replace it with a more balanced belief. You are then free to make a decision or take action based on values and goals, rather than based on emotions and negativity. Communication is another important aspect to consider. The more you speak to others about the thoughts and emotions you are experiencing, the more you’ll be able to get corrective feedback and alternative perspectives. Healthy communication can be difficult and sharing emotions can be scary. Therapy can be a great way to practice sharing your thoughts and feelings in a safe environment so that you can prepare for sharing with people in your life. Therapists can help you identify patterns of problematic thinking and figure out healthy ways to express yourself. Sometimes when people feel isolated, it is self-inflicted as a protective factor. Facing the fears and anxieties you have about opening up can allow you to let down your walls and let others in. Kaitlin is a psychotherapist at Freestone Psychotherapy who integrates Yoga-Informed Psychotherapy and Trauma Sensitive Yoga into her work with patients. If you would like to talk with Kaitlin about meeting, you can email her at kaitlinthompsonlcsw@gmail.com or through the contact link on our website.